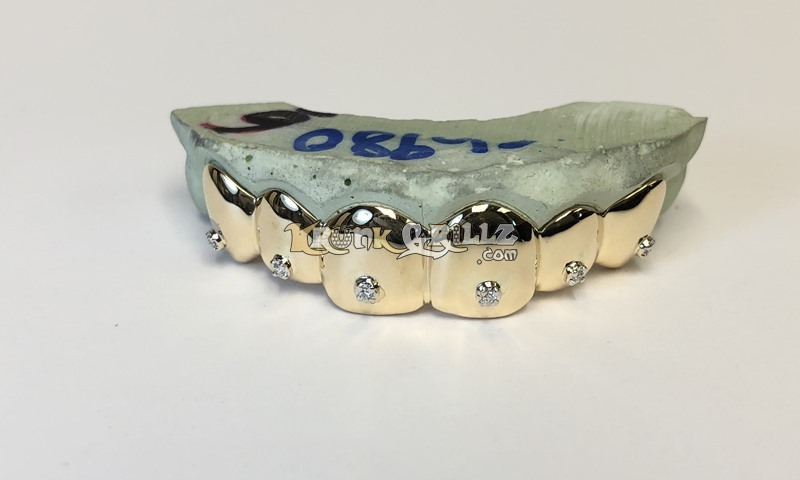 This custom-fit gold grill has one round diamond set in each tooth. The setting appearance might vary slightly from the photo. We use real diamonds and it will look great.